yesterday we’ve been to the zoo in zürich, mostly to see the masaola-hall (which was really impressive). 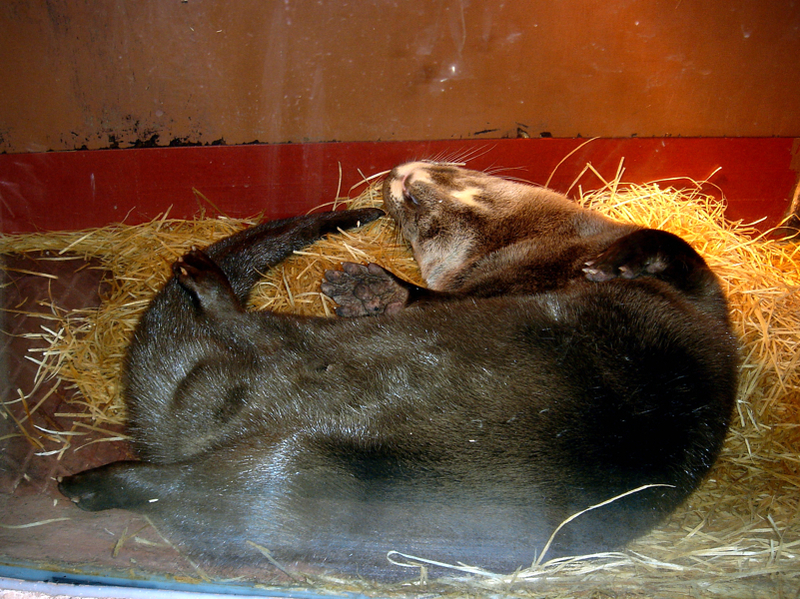 during our stroll through the zoo we passed at the enclosure of the otters where i snapped an image of this little fellow passing out in his bed (which is what i’m gonna do now). Na das hoff ich doch – soll Dir ja nicht anders gehen als mir!